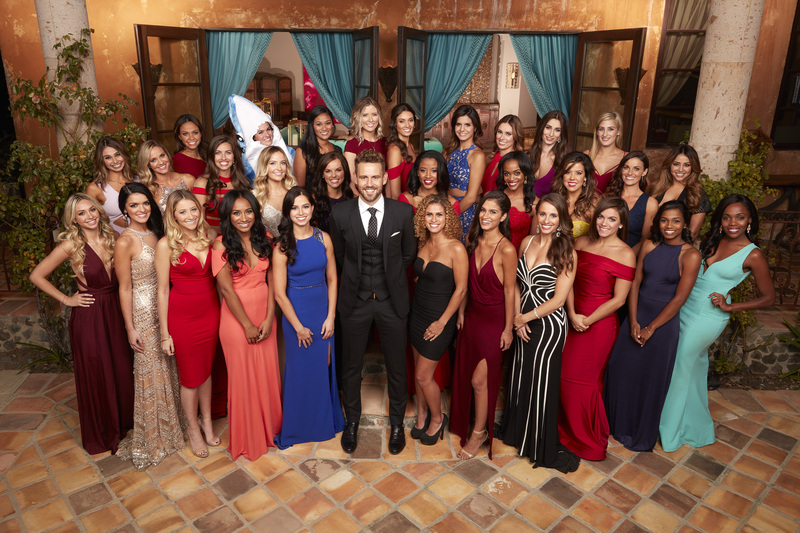 Fourth time's the charm for the next bachelor, handsome software salesman Nick Viall, and now we finally get to see the 30 ladies who will make up The Bachelor 2017 cast. The Bachelor contestants are as expected an exciting group, as not just any woman would have what it takes to captivate a catch like Nick's heart. The women vying for the Bachelor Season 21 include a dolphin lover, a no-nonsense Southern Belle and a woman who has a big secret involving Nick, so this season is certainly going to be an exciting ride. The 36-year-old is no stranger to drama and the Season 21 premiere airing MONDAY, JAN 2 8|7c is non-stop as this season's Bachelor gets first impressions of the contestants, one of which could be his future wife. The Bachelor Season 21 contestants know how to make an entrance. Sarah, a bubbly school teacher, runs up in the driveway in sneakers to make the point, despite Nick's past with Bachelorette Andi Dorfman and Kaitlyn Bristowe, he isn't a runner-up in her eyes or heart. Jasmine G. shows up confidently with Neil Lane, so she can show Nick what engagement ring she prefers. Vanessa uses her multi-lingual skills in French and Italian to impress the Bachelor. Alexis shows off her exuberant side, not to mention a quirky obsession, when she rolls up decked out in a "dolphin costume." Liz is the woman with a past with Nick, but what is she hiding and what is her end game? Once inside, things heat up between Nick and the women and the race for the first impression rose is on. The chemistry between Nick and Vanessa cannot be denied and it looks like she might snag the first kiss of the season. Not so fast though, because a very persistent Corinne swoops in and steals Nick away before smooch time. Danielle M. bonds with the Bachelor over their shared Wisconsin roots. Ultimately, Nick has to make his first difficult decision as he offers the coveted first impression rose to a breathtakingly beautiful bachelorette. The night ends on a high note for 22 lucky women, who will continue on the path to capture Nick's heart. Watch: Jennifer Aniston Reveals Her Top Bachelor Picks! Watch Nick's journey to find love begin when The Bachelor airs MONDAY, JAN 2 8|7c on ABC.